Arnold Schwarzenegger will feature in a new campaign designed to create awareness of the deadline to make a complaint about Payment Protection Insurance (PPI). 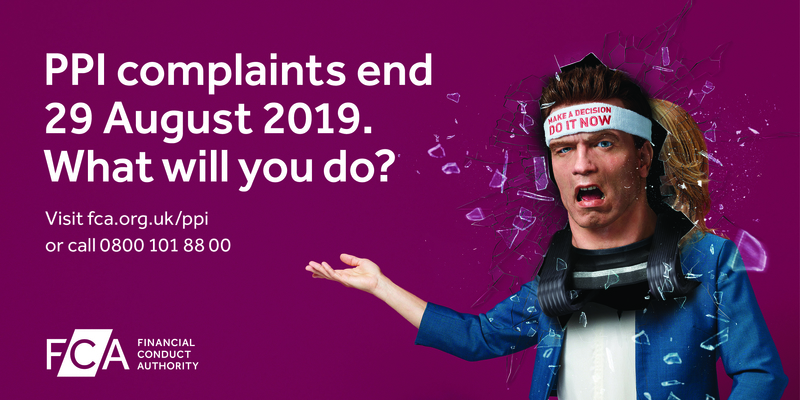 In an advert launched today, an animatronic model of Arnie’s head is seen urging people to make a decision about making a PPI complaint before the deadline on 29th August 2019. The Financial Conduct Authority (FCA) has introduced the deadline in order to prompt people into deciding whether to check if they had PPI and whether they want to make a complaint. The campaign has been designed by the FCA, who introduced the deadline which will bring to an end over a decade of complaints about PPI. The campaign will appear on TV, online and on outdoor advertising across the UK over the next two years. Over £27.4bn has been paid out to customers since the FCA introduced rules for complaining about PPI in 2011. PPI policies were sold alongside loans, credit cards, store cards and mortgages mostly between the 1990s and 2010.
providing useful and free-to-use PPI checking processes. Today also marks the start of a new basis for complaining about PPI, meaning customers could be entitled to compensation – even if they were not mis-sold. If a customer has complained about PPI previously, and had the complaint rejected, they may be entitled to compensation if the provider earned a high level of commission from selling PPI. The FCA has established a new dedicated phone line designed to assist customers with their PPI queries. The FCA has also updated its webpages to give more help to customers in making a decision. 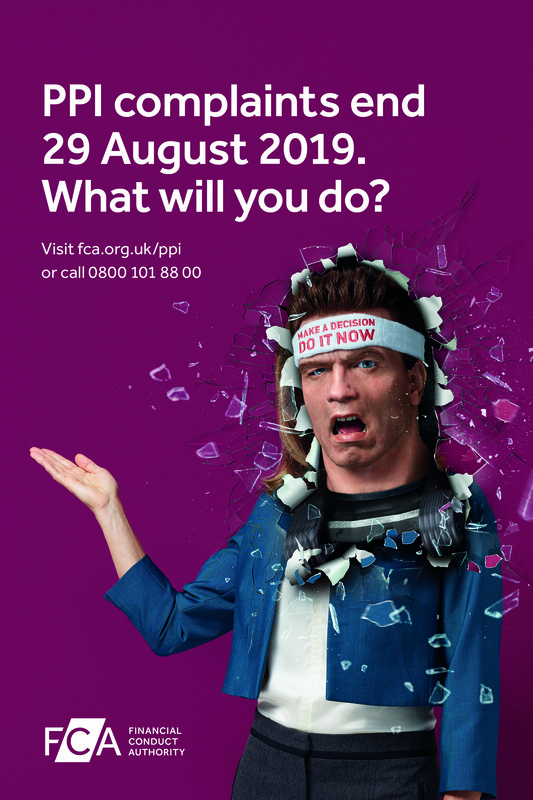 Make your decision about PPI before 29 August 2019. Videos: View the 60 second PPI deadline advert and the 30 second PPI deadline advert. On 1 April 2013, the FCA became responsible for the conduct supervision of all regulated financial firms and the prudential supervision of those not supervised by the Prudential Regulation Authority (PRA). The campaign is being paid for by the 18 firms who reported more than 100,000 complaints over the period 1 August 2009 to 1 August 2015. Together they represent over 90% of all PPI complaints reported in that period.